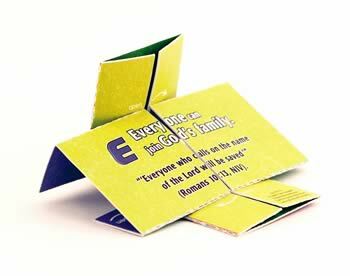 Kids learn the E-LIFE Plan, an easy-to-learn plan of salvation that uses the word E-LIFE as an acrostic. Along with the E-LIFE Plan at the core of E-LIFE are five basic principles of evangelism that we call the Five Commitments of the E-LIFE Kid. Seek is an "iPray" focus. Show is an "iGive" focus. Share is an "iGive" focus. Invite is an "iGo" focus. Invest is an "iGo" focus. An E-LIFE Kid is any student (recommended for grades 3-6) who commits to and demonstrates these Five Commitments. Kids who are especially motivated to make a difference in their schools, neighborhoods and communities can even become nationally recognized E-LIFE Kids or E-LIFE Kid Missionaries. To help your students learn about the Five Commitments of an E-LIFE Kid and how to share Jesus with their friends, we have a library of FREE E-LIFE Theme Activities. These can be conducted each week throughout the year in any children's ministries setting-Sunday morning, Sunday evening, mid-week, and special activities. Get Real Activities: Fun ice-breakers and activities to encourage discussion of the E-LIFE Plan and real-life issues. High Octane Activities: Fascinating and entertaining devotional object lessons. Each individual activity is designed to reinforce one of the Five Commitments of the E-LIFE Kid. The activities are in no specific order, so you can mix-and-match them in any combination you'd like to fit your needs. So, ready to get started? Visit our page on How to Begin E-LIFE to learn how!